President Trump is plunging ahead with plans for a State of the Union address on Tuesday — despite the letter by Speaker Pelosi urging that his speech be postponed, for security reasons, until after the government reopens. The big picture: Her letter didn't formally disinvite Trump, and the White House wants to make Pelosi go ahead with the speech or formally rescind the invitation. "Secret Service says: 'We have no problem doing our job,'" a senior administration official told me. If the traditional setting of the House chamber doesn't work out, the White House has a Plan B outside Washington, perhaps in the Southwest as a way of sending a message about immigration. The White House isn't keen on moving the address to the Senate chamber. That option is unlikely. 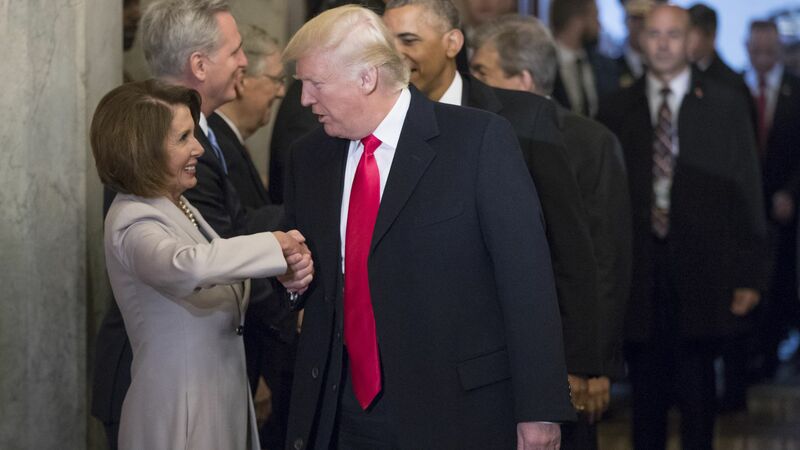 As to what the SOTU standoff says about the Trump-Pelosi relationship, the administration official said: "It's probably not the best start ... But I don't think it has to be indicative of what the next two years look like, either."